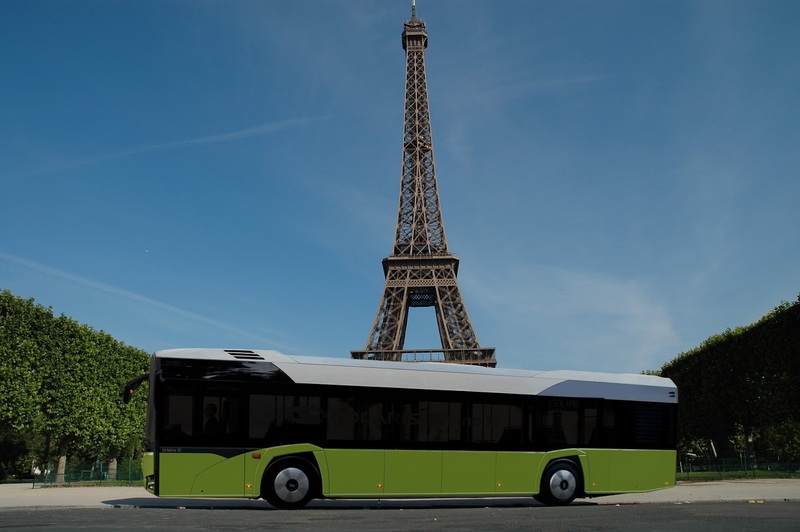 As part of the project to make the whole of the bus fleet in Paris emission-free by 2025, RATP recently commenced operation of the new Solaris Urbino 12 electric bus, which will be tested in the city for two months. The agreement between Solaris and RATP stipulates that the new Urbino 12 electric will be tested in regular passenger’s service on lines 21 and 147 in the French metropolis. The Parisian operator’s objective, supported by Greater Paris transport authority STIF, is to give up traditionally diesel powered engines and make the whole city fleet zero-emission by 2025. The Solaris electric bus being tested in Paris is based on a new Urbino construction which is of a completely new engineering design. Despite being lighter, it is more robust while being made from the same non-corrosive materials as before. The vehicle is equipped with a 240 kWh battery and a plug-in charging system. Solaris in co-operation with Ekoenergetyka will provide the operator with an 80kW external charging station. According to Solaris, a further innovative solution is the use of the newest ZF AVE 130 drive axle, in which two independent electric motors are mounted close to the wheels. It brings down the overall weight even further and at the same time increases the space inside the bus that can be configured freely. Along with the Medcom traction equipment, the axle ensures an exquisitely quiet drive as well as smooth acceleration and braking. There are 30 seats in the bus, including 16 pedestal-free seats. Energy-efficient LED lighting is used both inside the bus as well as for all exterior lamps. The ergonomic cab, with a higher seating position improves interaction between the driver and boarding passengers. The windscreen, which is much bigger in comparison to previous Urbinos gives an excellent view of the road. The drivers’ cab is more ergonomic thanks to the modern, intuitive touch-screen dashboard, now available across Solaris’s range of buses and trams.